If you’ve been following along for a little while, you may remember me mentioning some changes we were making to our home. One of those changes was repurposing a bedroom and instead creating a two-person office. It took awhile for us to find furniture. We wanted everything to match – so we finally found Ikea desks we both liked and chairs we both could agree on. I honestly never believed a 5’3″ person and a 5’11” person to both agree on the same chair… but it finally happened. 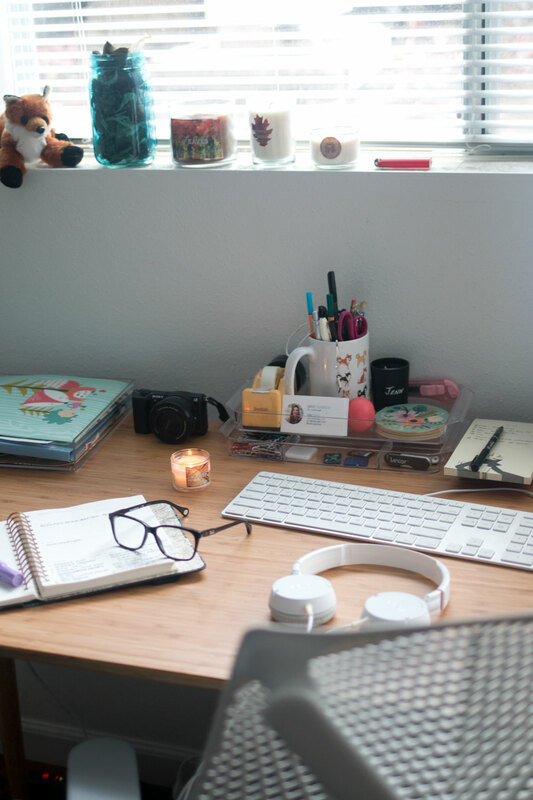 I thought it would be fun to give you a little tour of my personal office space and share my favorite things on my desk now that I’m all settled in. Storage & Organization: If you’re anything like me, you end up with a ton of little junk that doesn’t really have a great place to “live.” For me, that’s things like lip balm, hand lotion, paper clips, memory cards, and USB drives. I ended up with acrylic stacking organizers from Ikea and an acrylic letter tray from Target that work great for this purpose! Coasters: Sounds dumb, but if you have a desk that is wood (mine is bamboo) you’re going to want to protect it from condensation stains. I love iced coffee year round, so I often have this on my desk when I’m working (like this day.) My paper coasters from Rifle Paper Co. add a feminine touch, are pretty to look at, and are functional. 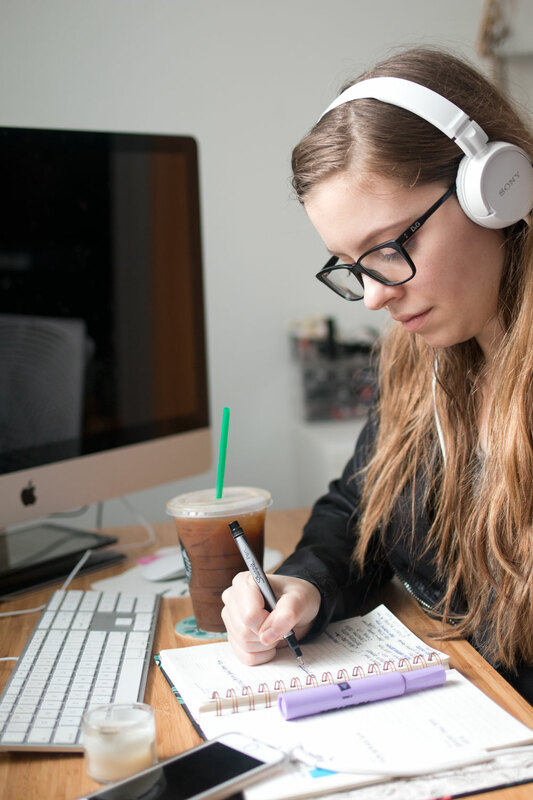 Eyezen Glasses: I’m so excited to have found a new pair of glasses to help reduce eye fatigue from too much screen time! I work a 9-5 day job that involves sitting in front of a computer all day (I’m a UX designer. More on that here, if you’re curious. ), and then I come home and spend my time catching up on all things blog related. That means I spend almost my entire waking life staring at a screen. Even when I’m out running around, I’m attached to my phone, so there’s even more screen time happening! Since using my new Eyezen glasses from Essilor, I notice my eyes are so much happier driving home at night. The lights used to bother me at night because (I assume, I’m not a doctor, and I don’t play one on TV) of the strain from staring at a screen. The nice thing about Eyezen glasses is you don’t have to have a prescription! You can get Eyezen lenses that will help with eye fatigue even if you don’t need corrective lenses. 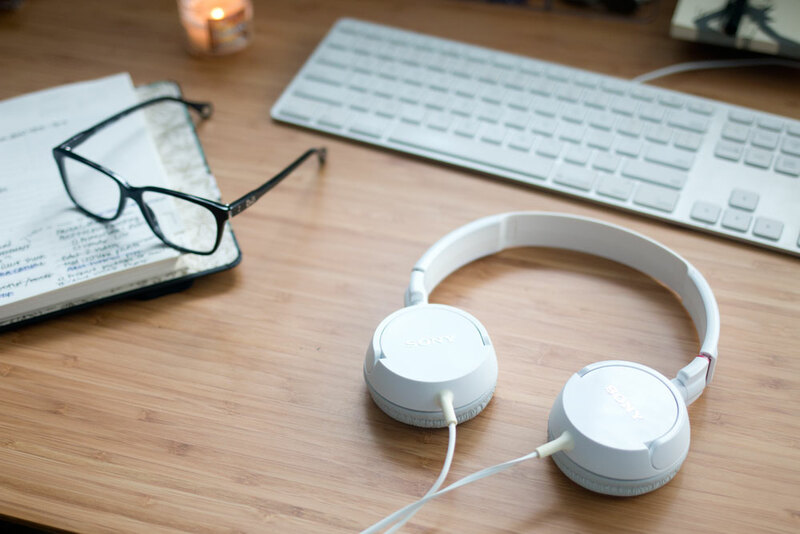 You can find a retailer near you by visiting their eye care professional locator, and find a pair that will fit your style on their website. Planner: I wish I were more organized, but I’m not. I finally broke down and bought a paper planner with the hope of being more on top of things. I think I have a long way to go when it comes to getting used to actually using it. I like having a visual indicator of what I still need to do, and it’s great to be able to see things at a glance, unlike most digital calendars I’ve tried. And to be fair, the planner I bought from Rifle Paper Co. (and is a new offering this year) is pretty dang beautiful. Candles: Okay, yes, this is one of those basic girl things, but honestly having a room or desk area that smells good makes me feel good. I’ve tried quite a few, but my current favorite candle is the Radiant Red Maple scent from Bath and Body Works. It smells like apples and marshmallows with a woodsy base. Coffee: Let’s be real. Work can get boring, late nights can turn into early mornings. Coffee can help you get through both. And it tastes good! I think coffee (or tea, pick your poison) is an office must have. 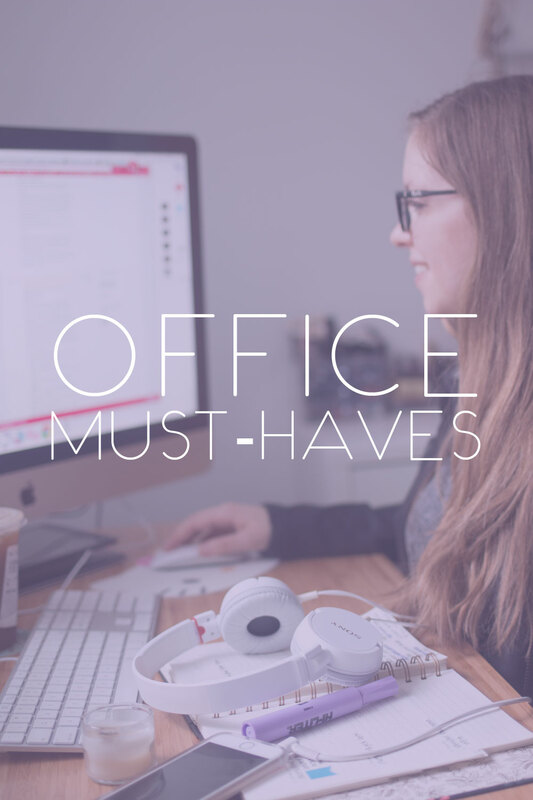 What are you favorite office essentials? Have you considered glasses to reduce eye fatigue like these Eyezen lenses from Essilor?